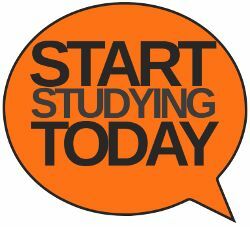 An IELTS student told me that he had spent the whole weekend studying for the IELTS writing exam. I was impressed – this student was known to be a little lazy sometimes and I was impressed that he was finally taking his IELTS exam studies seriously. I was not looking forward to the extra marking that this student might reasonably expect me to do. I asked him how many pieces of writing he had written. The answer was none. Zero. The student hadn’t written anything but had spent the whole weekend studying for the IELTS writing exam. I was confused but pushed for time so I didn’t ask too many questions. You get back on track when you resume your original schedule or plan. My intention was to post a new word or expression on this site every day but other things have slowed me down. I am now in a position to resume my original plan. I stopped making daily posts but I am back on track now.